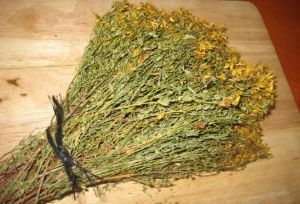 St John's wort is the plant species Hypericum perforatum,; also, with qualifiers, used to refer to any species of the genus Hypericum. Therefore, H. perforatum is sometimes called Common St John's wort to differentiate it. 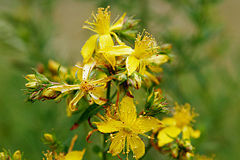 Approximately 370 species of the genus Hypericum exist worldwide with a native geographical distribution including temperate and subtropical regions of North America, Europe, Asia Minor, Russia, India, and China.